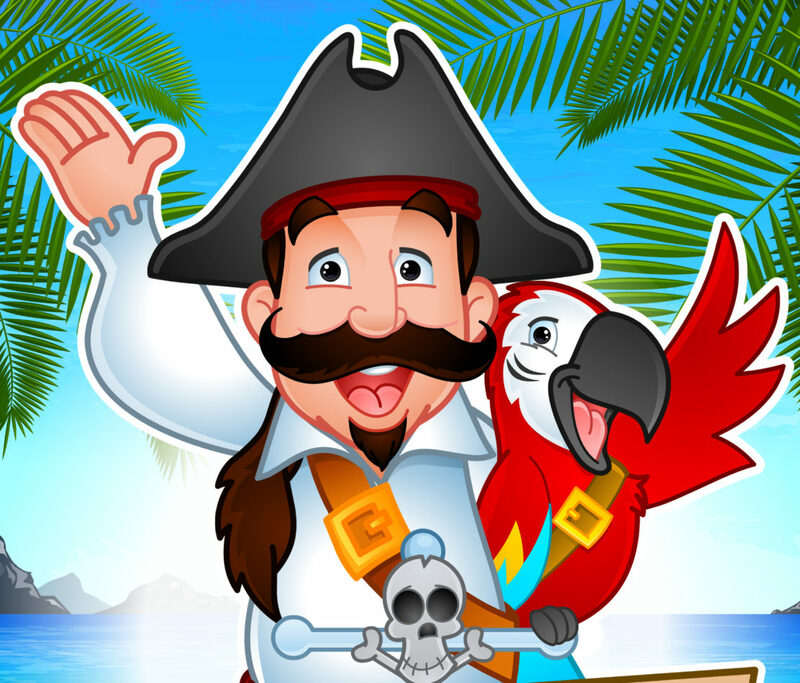 Pirate Magician Captain Corbin Brings magic and a pirate ship to the Burford fair! Performing at fairs and festivals are a lot of fun. It often involved stage performances and strolling magic. The magic stage shows are always large extravaganzas full of great magic and illusions to thrill the crowd. It’s a lot of family friendly fun and children’s entertainment. I really enjoy strolling magic, walking around the fair or festival entertainment with my close up magic. Strolling magic at a festival is fun because I get to meet and greet the people and talk with them at the same time as showing my awesome magic. 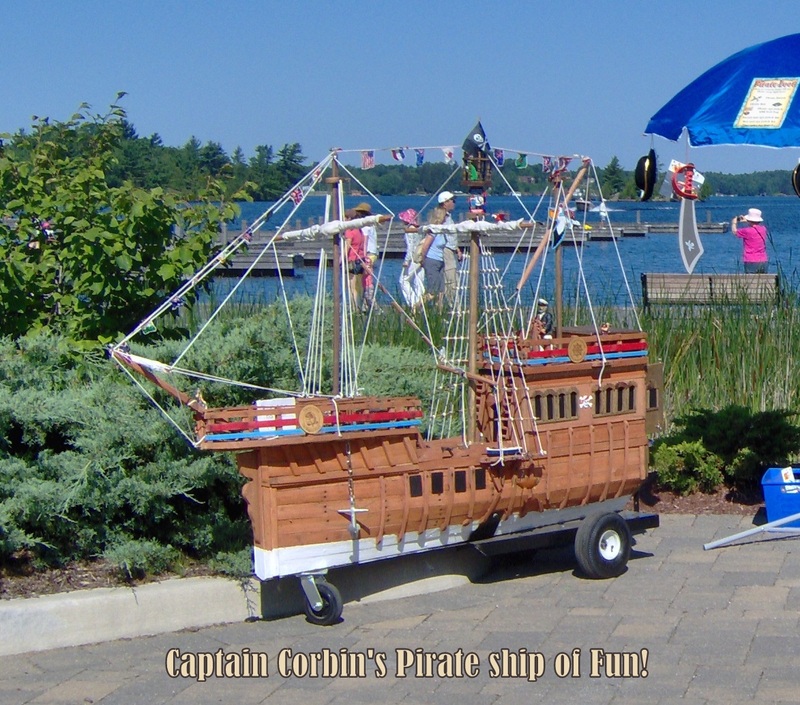 Recently at the Burford Fair in Ontario I not only performed my pirate magic on stage and walking around, but I also brought my pirate ship. The pirate ship ( I call it my shrunken pirate ship of fun ) is a 10 foot long wooden pirate ship on wheels. It’s full of detailed decorations – tiny skulls, little barrels, cannons and more! I’ve got a treasure chest on the main deck that kids can reach in to pull out a treasure of their own. Not only does the ship look great, it’s very functional at events. Inside I’ve hidden a very loud professional sound system that allows me to play my pirate music and amplify my voice. It’s a great draw at any event and I hope you get to see it very soon!